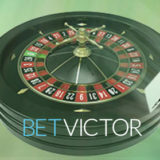 Playing at the BetVictor Live Casino on a Friday gets even better as they have introduced a 25% Bonus up to £50 if you win or lose while playing the qualifying table games. So if you lose £200 you’ll get £50 back in the form of a bonus. If you win £200 you’ll get a £50 Bonus. To claim the bonus just click on this link and opt in or register and opt in if your not already a player. There are are range of Terms and Conditions associated with this promotion and you can view them here. The promotion starts on the 29.04.16 and runs every Friday between 00:01 and 23:59 GMT. All table games with the exception Baccarat (all versions) & Casino War table games qualify for this promotion. The maximum bonus payment for this promotion is £/€50 per person per weekly promotion. The minimum bonus payout is £/€1 per person per weekly promotion. Other currencies will be converted from the base GBP exchange rate. Bonus funds are credited to your account the following day. The bonus funds can be used on any of our games on our Casino with the exception of Poker (including casino side games within the Poker client). The bonus funds must be wagered 5 times before they can be released or withdrawn and wagering must be completed within 5 days. Not all games qualify for 100% wagering, so check out the general promotion terms for wagering to see what they are for the games you want to play.